In many of the developing nations small towns have many modest congregations, typically between twenty and forty people. They meet in school classrooms or small buildings, often under construction. 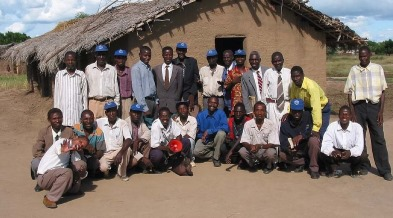 The pastors get up early to work on their plot of land to feed their families and during the second part of the day they attend to church affairs. "Our Library has become a research centre for all the Christian leaders in our area who want to know more of the undiluted word of God." 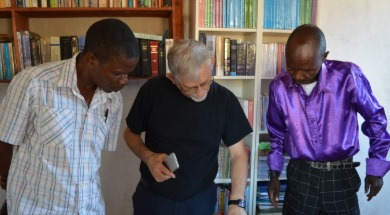 In the small town of Salima, an hour or so away from Lilongwe the capital of Malawi, SWT has worked with Starfish Malawi to set up a lending and reference library / resource centre that serves the churches in that area. In a few years its membership grew to around 160. Several of these pastors were either walking or cycling from their homes with a visit taking the best part of a day in some cases. So a number of smaller satellite libraries were planted to enable them to access books nearer to their homes. One of the benefits of this arrangement is that pastors of different churches got to know each other and through these relationships they have come to cooperate with and support each other. This reminds us of the Psalm, "How good it is when brethren dwell together in unity, for there the Lord has commanded a blessing."